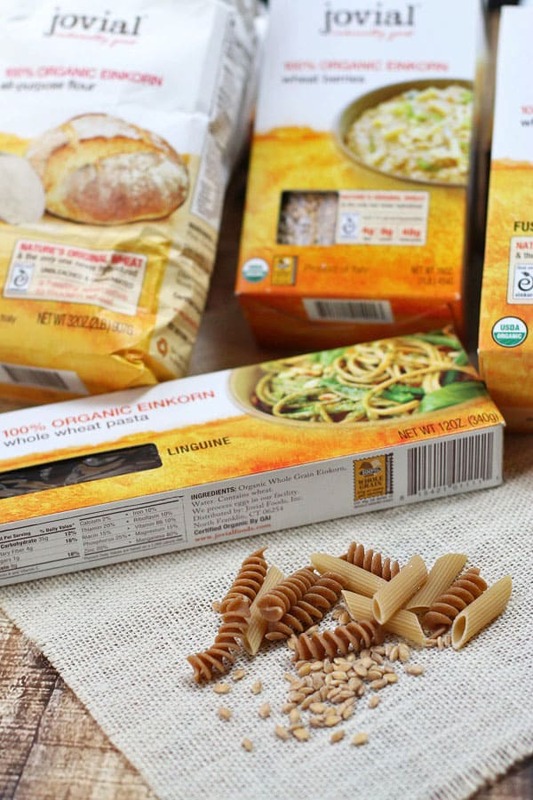 Einkorn: A Wheat for the Gluten-free? 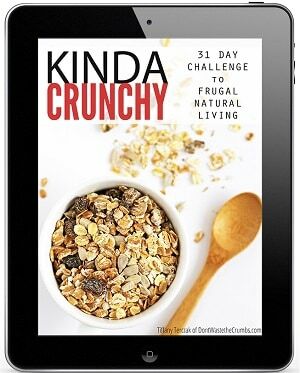 You are here: Don't Waste The Crumbs » Real Food 101 » Einkorn: A Wheat for the Gluten-free? This post is brought to you by Jovial Foods. All opinions are 100% mine. There used to be a time when coconut milk could only be found in Asian grocery stores. Now, chain grocery stores have a section, if not an entire aisle, dedicated to the ingredients found in Asian cuisine. The same is true for Mexican foods and now gluten-free fare can be filed away in this category as well. Whether it’s a voluntary lifestyle decision, or a matter of life and death, gluten-free foods are more popular than ever before and stores are carrying a wide array of foods to offer these consumers. There’s pancake mixes, flour mixes, cookies and cakes… noodles, bars, breads and pretzels… and they’re all made with starches and gums and other gluten-free ingredients that have been deemed safe. But what if it didn’t have to so complicated? What if eating gluten-free was as simple as choosing a better wheat flour? Scientifically speaking of course, that can’t be true. By definition, all wheat flours – all-purpose, bread, whole wheat (hard red and soft white), spelt, kamut, etc. – contain gluten. It’s how they were created and that’s that. The wheat on stores shelves today is NOT the same wheat that we once consumed long ago. This is bad news across the board, whether you have food allergies or not. Obviously, those who have celiac disease already avoid wheat because of the great harm it causes to their bodies. Individuals with gluten sensitivity or intolerance might be able to consume wheat now and then, but certainly not on a regular basis. Those who show no signs of digesting gluten in general might actually have issues, but not realize it because dealing with them is normal. Even if you are 100% positively sure you have no issues with gluten whatsoever, you should at least be aware that the agriculture business continues to modify foods in order to increase the harvest and reduce farming plagues. We should all be informed consumers, and not naive, when it comes to the food we feed our families. 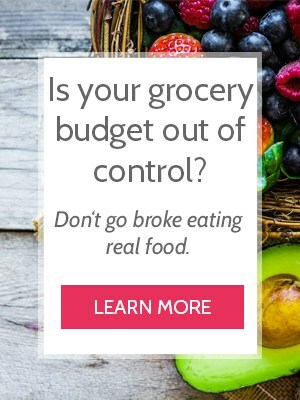 Fortunately, for the voluntary lifestyle and the certain gluten-intolerant, there’s a far better alternative than the processed gluten-free section of the grocery store. It’s called Einkorn. If you’re phonetically challenged like me, Einkorn rhymes with “fine corn.” It’s an ancient grain that has never been hybridized, meaning it’s the same now as it’s always been. This is not the case with wheat found on most store shelves today. Early on in the history of wheat, Einkorn grew wild in the Far East. Soon thereafter, the first farmers began to plant and harvest Einkorn, making it one of the earliest crops. As an unmodified, ancient grain, Einkorn contains 14 chromosomes. A little while later, Emmer spontaneously appeared. Emmer is the first hybridization of wheat, being part wild wheat and part goat grass, and contains 28 chromosomes. Then, Spelt emerged. Spelt is a hybrid of Emmer and goat grass, intentionally bred by migrant farmers in order to keep the desirable traits of goat grass and diminish the undesirable traits of Emmer. Spelt is the second hybridization and has 42 chromosomes. Over time, farmers bred Spelt and Emmer to create today’s Durum Wheat, Spelt and Soft Wheat. 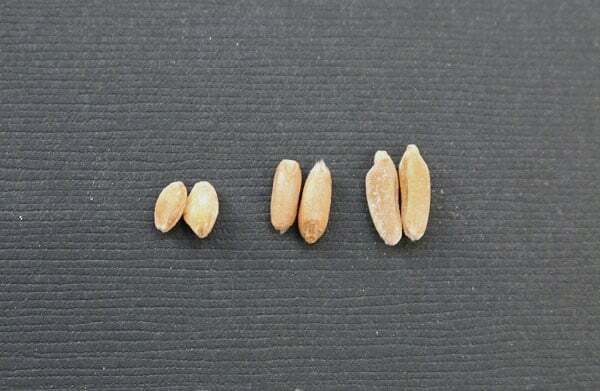 These too have 42 chromosomes and along with Hard Red Spring, are the most common varieties of wheat used in the market today. Any time a change is made to a plant, the resulting seed, flower or fruit changes too. Gardeners know that you change the fertilizer and the fruit can be sour. If the soil lacks a nutrient, the yield is poor or nonexistent. If you’re able to create the perfect environment in order to achieve the desired outcome of a crop, then you’re in business. When it comes to wheat, you’re in very good business. This is great news for the milling and baking industry, but not good news for the consumer. Most individuals with gluten issues react negatively to the gliadin. Einkorn has a higher ratio of gliadin to glutenin, so naturally we would think that it would be far worse for individuals with gluten sensitivities than modern wheat. However, because Einkorn is not hybridized, the original DNA structure remains intact and actually helps the body to digest these gluten proteins properly. From the way the starches in Einkorn are structured together, to the naturally high level of protein, to the ratio of soluble to insoluble proteins found in Einkorn wheat – it all remains unchanged as it was many years ago, equipping the body with the tools needed in order to break down and properly digest the grain. Do you remember when we talked about raw milk? And how raw milk contained all the awesome enzymes that helped our bodies assimilate the nutrients found in milk? And how pasteurized milk didn’t have those enzymes, so our bodies couldn’t really absorb and use the vitamins in pasteurized milk as well? It’s kinda like that, but it’s Einkorn instead of raw milk, and gluten instead of nutrients. It means that people who are gluten sensitive or gluten intolerant are often able to consume Einkorn. This does NOT mean that people with celiac disease are able to consume wheat. That is an entirely different issue. But just like how some lactose intolerant people can drink raw milk, some gluten intolerant people can consume Einkorn. And if by chance Einkorn all-purpose flour gives digestive trouble, there’s always the option of sprouting the whole grain and milling your own flour. You can then take this flour and make your own sourdough starter and sourdough bread. Einkorn was lost in the hubub of modern wheat for a long time, so despite being a very old grain, it’s relatively new to the current market of wheat. 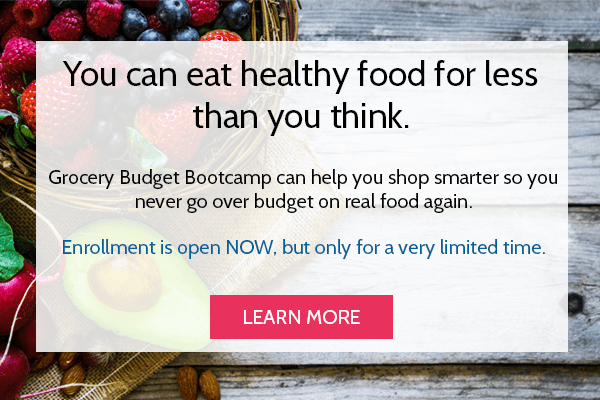 You can check local health food stores, but online might be your best bet. I buy whole einkorn berries from Young Living because they have the cheapest price! Just $2.35 per pound. I also like all-purpose Einkorn flour (for fluffy sweet potato biscuits! ), you can find it on Amazon. 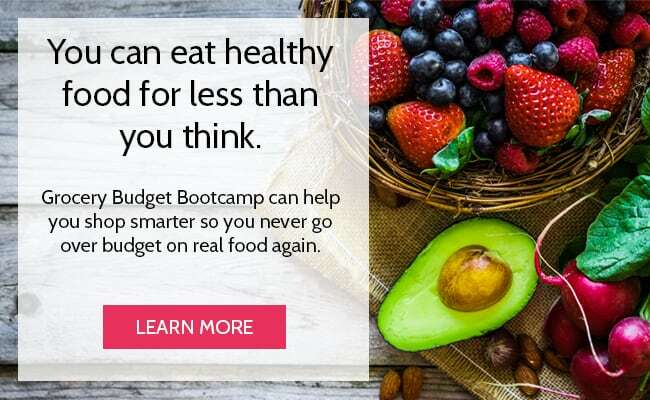 Including Einkorn in your diet wouldn’t be ADDING to the budget. It would be REPLACING items you already buy. Gluten-free mixes at $4 each or breads at $6 per loaf? What about the gluten-free flours and specialty starches and gums? If you are able to digest Einkorn, you won’t have to buy any of that any more. Instead, you’ll be buying pure, unadulterated ancient wheat and making your own delicious baked goods from scratch. Use up what you have first. Find the best price and buy in bulk. Use what you have wisely, and don’t waste ingredients. Einkorn isn’t a magic pill that will make ALL your gluten issues disappear, but it very well might be the perfect wheat for families who struggle with gluten sensitivity or intolerance. Just think, homemade biscuits or rosemary olive oil bread could really be that easy with just a simple switch of flour! Looking for more Einkorn recipes? Try these! Do you struggle with gluten sensitivity or intolerance? Have you ever tried Einkorn before? Were you able to digest it? YES! My son and I both struggle with a gluten intolerance. Einkorn wheat has been wonderful for us, we can both eat it w/o issues. (migraines and congestion for both us w/ regular wheat!) I’m careful with how I use it – we don’t eat a lot of grains – once a day or less usually (as opposed to the USDA pyramid of 6-8 servings per day) and we still use the Jovial rice pasta (it’s less expensive) and rice and oats too, so 2-3 times a week we may have einkorn flour. It’s so nice to make biscuits or bread – I love the Jovial slow rise bread recipe! – and not be concerned about texture, taste, etc…like I often was with GF flours. That’s wonderful news Becky! What a great testimony to Einkorn wheat – and to enjoy homemade baked goods without worry about reactions to gluten – amazing! You mentioned Kamut. I recently switched the entire family that can eat gluten to Kamut thinking that for the price, that was the best way to go. I have one with Celiac and two that got off gluten before I knew there was a test for celiac. I also have to be off ALL grains (wheat, rice, oats, corn, etc.). Would you test the Einkorn on the ones that are intolerant to gluten (they get sinus infections) and see how they respond? What would you do with your kids? Is Einkorn that much better than Kamut? I thought I heard that Kamut is one of the oldest wheats. Yes, I believe Einkorn is better than Kamut. But kamut is better (in my opinion) than modern day wheat. Kamut is definitely older, but I fear many people call it “ancient” because it was discovered in Egypt rather than the typical farm. I think the easiest way to think about it is the lesser chromosomes the better. 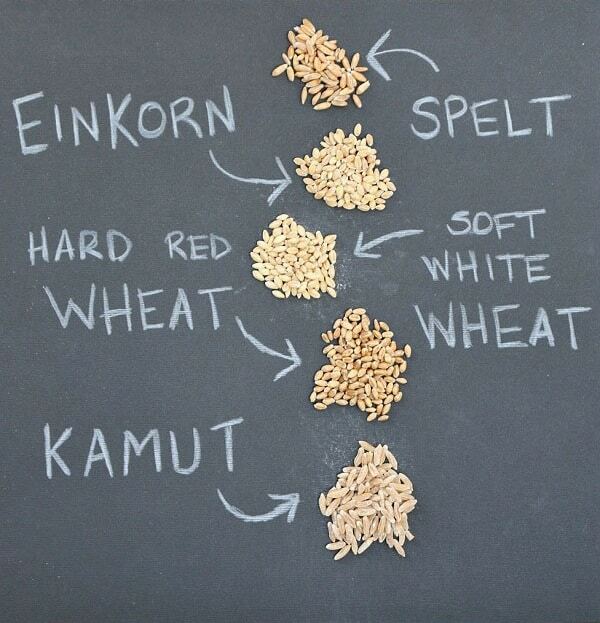 Einkorn has 14, kamut as 28 and modern wheat has 42. I tested positive as allergic to wheat – but not to gluten (ie. barley and rye are okay because though they contain gluten, they do NOT contain wheat). Any idea if einkorn would be safe for a wheat allergy? Or at least safer than regular wheat? Since Einkorn is an ancient wheat, the same rules would technically apply. If your reactions are mild, a test couldn’t hurt to see if you’re able to tolerate a more simpler type of wheat. Sometimes our bodies can tolerate one version of grain (i.e. soaked or sprouted) but not the processed version. If your symptoms are severe though, I wouldn’t recommend it. I tested positive for a wheat allergy – but it is mild. When I was at the health food store, they had Jovial on sale, so I bought a box to try. Fingers crossed it is okay! I’m sensitive for gluten (not nice but it gives me hemorrhoids) but making Einkorn sourdough bread sounds so tempting. Maybe I’ll give it a try. You should Stefanie! Jovial just came out with a book all about Einkorn and it’s a great one! 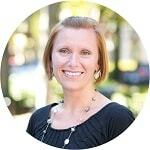 We did GAPS after finding my kids had dozens of food intolerances, including wheat and gluten. When we finished it, we started with sourdough einkorn and they were able to eat it just fine. Regular wheat, even organic or soured, troubled them still. I think our success was a combination of eliminating it for a long time to call inflammation and the addition of this lower gluten grain. Huge fan of Jovial now and your einkorn recipes have been great! I enjoy modifying them to include sourdough as the leavening agent. I just invented the cheapest and fastest test of food sensitivities for myself comes to new ingredients.. Instead of making an end product with them like bread or dish.. I simply consume a teaspoon or so of it dry or with bit water and wait a day or so for reaction. If a new flour or oats brand or what not gives me reaction, then I know not to waste time and use it in my cooking. I am my own walking lab :). It is so much easier and such a fast results and also I trust my body in fast reaction and response. Can you point me to the source of this information? I’m curious about how the number of chromosomes increased and how it affects people. I’m eating gluten-free because of a Hashimotos diagnosis. Can you offer any insight into whether Einkhorn may be safe for someone with Hashimotos? Studies have shown a strong correlation between gluten and the thyroid antibodies in Hashimotos, so I was under the impression I needed to avoid all gluten-containing grains to keep the disease progression at bay. 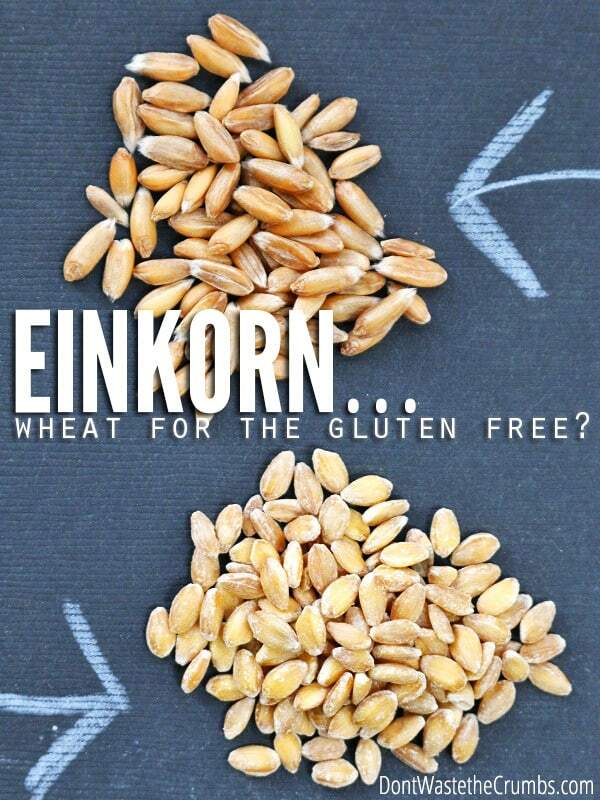 I don’t necessarily react to eating gluten, even regular wheat, so not sure how to test with Einkhorn. Any naught you can offer on this would be greatly appreciated! When you say you don’t react to eating gluten, does that mean you’ve done an elimination and challenge? Since the wheat/gluten is causing your body to create thyroid antibodies, I think that means you must have some level of sensitivity, which would show after an elimination and challenge. I don’t know if einkorn will cause the same reaction in your body. I suspect it would be different for all of us. I am very curious to know how my body reacts to einkorn, and I’m hoping my doctor lets me experiment. I want her to check antibody levels before and after. 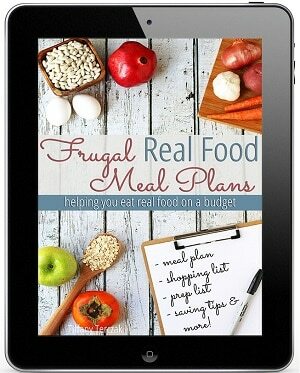 If you haven’t done an elimination yet (eat NOTHING but certified GF foods, fresh produce, fish), try that first. Go without a drop of wheat for 3-6 weeks, then challenge it (eat two or three portions one day, then note any possible reactions that day and the next–hives, joint or muscle pain, mood swings, depression). After that, you’ll be able to test einkorn and see if you get the same reactions. I tried the pasta and tolerated it okay, However when I tried one teaspoon of the flour in gravy, I awoke with cramps and loose bowels. Is it possible I could tolerate the one and not the other? Anything is possible Polly 🙂 Sometimes our body reacts to an ingredient differently if it’s cooked vs. raw and even whether or not it’s mixed with something else. You could try the flour in something that’s DEFINITELY cooked (maybe the flour wasn’t completed cooked in the gravy?) and see if cooking/raw is the culprit. DO NOT cut out gluten to test yourself. Go to your physician to be tested for celiac disease. Einkorn is not safe for anyone with celiac disease because it contains gluten. The ONLY cure for celiac disease is a gluten-free diet. My doctor was no help when I had sores all over my hands and I was struggling with constipation and severe stomach cramps. They said I had an autoimmune disorder and gave new steroid creams. I had to take it upon myself (10 years later) to cut my diet down to just vegetables for 3 weeks then add things back into my diet. Gluten was the cause. I don’t eat it now but since I know what’s causing these problems I could go get tested for Celiac just to see how bad it is. Doctors aren’t always helpful. I encourage everyone to remove gluten from their diet for at least 3 weeks to see if there are any changes in your body, especially when you add it back in. Celiac test by blood is often not accurate. I ne we texted positive for it. I am not “allergic” to wheat. However gluten is inflammatory ( in modern wheats), but the einkorn does not seem to be as Tiffany states. The Information received from the blood ests were not accurate or helpful at all in my case. Can you confirm that emmer and spelt are not more easily digestible than other wheats? Where are they on the scale of creating a potential gluten problem in the body? A lot of people think of Einkorn, emmer and spelt are the same thing, as the Italians and French have a generic word ‘farro’ and ‘epeautre’ and then add ‘small, medium and large accordingly to distinguish between them.